Synopsis: The high-level rountable discussion focused on the challenges that the retail sector has to face in the age of digitization. The key challenges were the development of e-commerce, difficulties with cross-border activities due to legislative differences, the disadvantages faced by SME’s, and the protection, access and transparency of consumers’ data. The panellists agreed that society at large should be encouraged to adopt a forward-looking approach to their career and adapt the skill set needed to meet the digital challenges. Below you will find a full summary, prepared by Professor Dr. Sven Van Kerckhoven of Vesalius College. Speakers discussed the challenges that the retail sector has to face in the age of digitalization as well as suggestions on how to best overcome them. All participants analysed the disruptive role that the development of e-commerce played in changing the way people buy, which in turn transformed the way retailers do business. The development of online retail poses a number of challenges, while also bringing huge opportunities. Cross-border activities still remain problematic due to national legislative differences that, despite the development towards a Single European Market, still do not guarantee a level playing field. SMEs face some disadvantages in adjusting their business models in order to remain competitive in the new digital area: incorporating innovative trends that are developed at a fast pace requires resources both from the financial point of view and from the point of view of the skill sets that are necessary to take advantage of the opportunities that digitalization brings. Despite the increasing importance of e-commerce, the majority of sales are still happening offline. Offline retailers are required to incorporate new concepts in their business models in order to remain competitive towards the online segment. In many cases, retailers are operating both online and offline and they are developing new concepts that lie in-between the two business concepts. 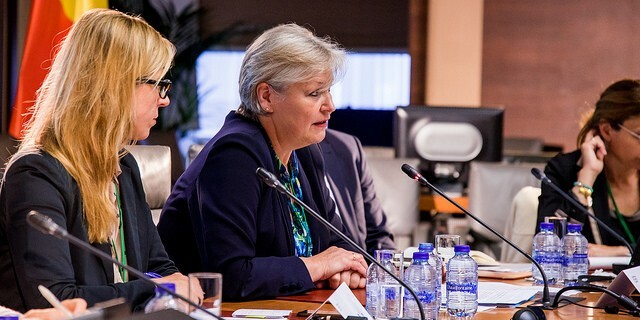 Consumers’ protection, data access, transparency and privacy are key issues that are of increasing importance: there is the need to foster European consumers’ awareness of the challenges that digitalization poses. It has been estimated that digitisation will cause the disruption of one-third of the current jobs. This is a key social challenge that digital innovation is bringing, it is crucial that people who will inevitably lose their job possess the right tools to transition to the jobs of the new area. Panellists agreed that it is fundamental that these challenges are considered and tack-led to ensure that Europe can benefit from the huge opportunities that digitalization carries. From the point of view of legislation, the EU’s considerable progress was noted, while implementation of European Directives and harmonisation of national legislation still requires attention. In particular, divergences in taxes, VAT levels, prices for the delivery of parcels, the restrictiveness of the regulation concerning retail activities should be harmonised at the European level and well designed at the national level in order to ensure a level-playing field for online-offline retailers and for SMEs. It is not only competitiveness between European countries but also vis-à-vis other Global competitors that should be fostered. A final point of panel discussion has been the social challenges posed by the transformations in the job market. These can represent an opportunity to gain competitiveness if workers and legislators are well prepared to face them: workers in nearly all sectors will be required to master a certain level of digital skills. It is worrisome that today 88% of employers are not tackling the lack of digital skills of their employees. Retail workers, students and society at large are should be encouraged to adopt a forward-looking approach to their career and adapt the skill set needed to meet the digital challenges.